FlyHighYoga™ is a fun, unique and popular style of yoga, which allows students to experience yoga postures in way they never have before. 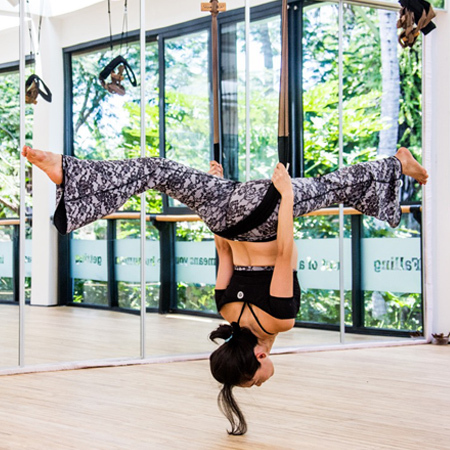 The practice is done using a top quality FlyHighYoga™ Hanging Belt, which is suspended from the ceiling. The belt is used in hundreds of different ways and FlyHighYoga™ can be done by anyone whether they are beginners or higher-level yoga practitioners. Everyone will enjoy the class and at the same time feel challenged. FlyHighYoga™ is a versatile practice that compliments any existing yoga asana practice. 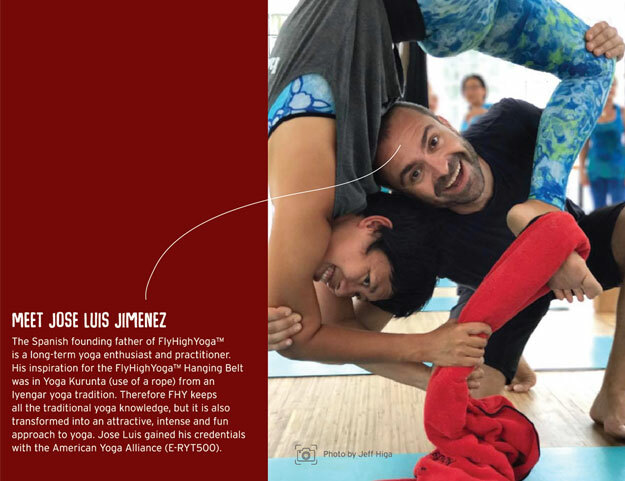 FlyHighYoga™ is unique because there is a significant amount of creativity as well as many exclusive benefits involved. It can be a very dynamic or a very restorative yoga practice, which can be practiced alone or with a partner.